Are Governments attempting to stop citizens from growing their own food? I have watched and followed with some worry and considerable concern during the last few years at various Governments attempts to ban people from growing organic food and medicinal plants in their home gardens. At first glance this looks like something that you would expect to come from conspiracy theorists, in many ways I wish that it was just a conspiracy, but sadly there is no conspiracy here, no half truths with the bits in-between filled in with wild and fantastic stories of New World Orders, and three headed Aliens trying to control us. The first thing I read that started the alarm bells ringing for me was the two Bills S.425 and H.R.875 which were introduced both in the House and Senate of the US Congress by Democrat Rosa DeLauro, this caused immediate controversy as Rosa De Lauro is married to Stanley Greenberg, who is Chairman and CEO of Greenberg Quinlan Rosner Research, who have carried out work for Biotech company Monsanto. Outwardly these Bills that are currently before the Senate in the US are masquerading as a set of new food safety standards, however these Bills are so vague and open ended that if they were fully implemented there would be a high risk of Organic and Heirloom seeds, and the general production of organic food being banned. One of the central aims of the Bills is to completely industrialise all food production in America. If implemented it would be illegal to grow food in your garden, and also illegal to give that food away to your friends and family. Other parts of the Bill attempt to restrict and control the usage of valuable minerals and vitamins that have proven beneficial effects on peoples well being. There have been some successes in stalling and changing bits of these Bills in the US, but the rushed implementation of them is still going on where the Obama Government are pushing the Bills without any public consultation whatsoever in a bid to get them on the Statute books as quickly as possible. Neoliberals in the US are quick to make claims that the two Bills have nothing to do with banning organic food growing and Heirloom seeds, but there is some very recent evidence that flows contrary to their claims. The Rawsome food company in California who produce and sell raw organic food have been visited and arrested by armed S.W.A.T Police on two occasions. 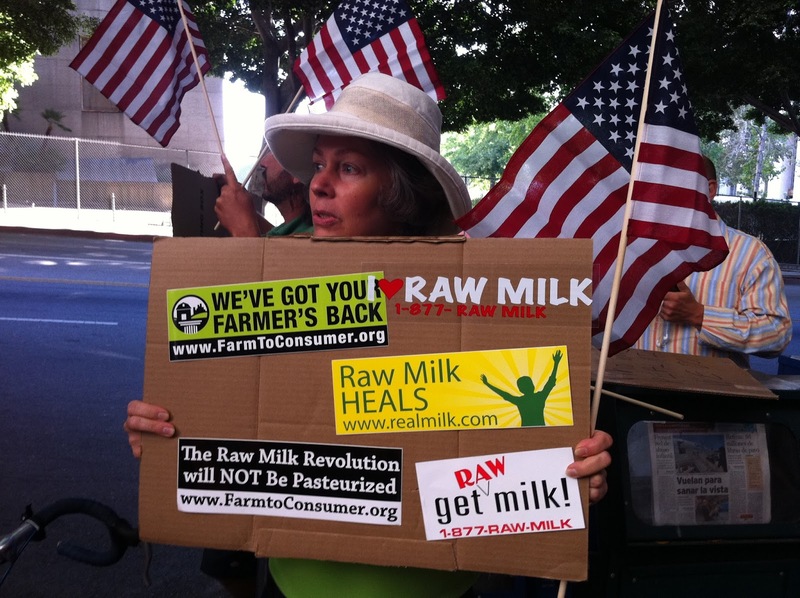 The two issues that drew armed S.W.A.T teams to the Rawsome Food Company were the sale of naturally produced milk, and the sharing and giving away of surplus food. In another case, The Police and Nevada Health District team raided Quail Hollow organic farm in Nevada in 2011, with claims that the fresh vegetables which were grown on the farm and were being used to feed a local get together of growers and their families were a toxic bio-hazard, meat that was reared on the farm was also classed as toxic, and all food from the event was confiscated and destroyed. Similarly the New Zealand Government are currently trying to push through the Food Bill 160-2 onto their statute books, it has already passed through the first stage of going onto their statute books, once fully implemented it would mean that it would be completely illegal for people to grow and share food from the back garden plot or smallholding and only those involved in agribusiness would have the right to grow and produce food. The New Zealand Bill has developed out of demands from the WTO (World trade organisation) The WTO represent the interests of businesses and companies and is not a Statutory Government body with the welfare of the world citizens at heart. And just like the American Bills that are before their Senate (S.425 and H.R.875) the New Zealand 160-2 Bill also prohibits the use of Heirloom seeds and seed saving. There have also been developments in Europe, particularly with the use of Herbal plants as medicines, in April of 2011, the European Union set in place rules governing the use and classification of herbs and herbal preparations, these rules have effectively denied thousands of NHS patients the use of traditional herbs, it also puts in place registration rules that enable herbal practitioners to operate under strict licensing rules, the registration process alone costs between £80-120,000, which of course means that only larger more corporate type companies can afford to pay to register. This European legislation was sold to us as something that has been put in place to protect our health and well being, but research into fatalities from herbal and none herbal medical drugs paints a biased picture, in the US between 75-100,000 people a year die from Proscribed pharmaceutical drugs, whist Dr. Christianson ND looked into deaths from herbal preparations and found no evidence to suggest that any deaths had occurred other than a few dozen cases where people had either combined prescribed drugs with herbal, or where people died from plain ignorance by ingesting essential oils, his research found that no deaths had occurred from proscribed herbal remedies that were given out by trained herbalists. Protesting is always a very valid and useful strategy to bring about social change, and this case is no exception, as large scale protest and outcry in the US has halted the Bills from becoming enshrined in law up to now, however we believe that the main means of fighting back that we should be employing is disobedience. If any of this legislation does become enshrined in law, it will mean that our efforts to live an ecologically sound life whilst reducing our reliance on fossil fuels also becomes illegal, we must resist these measures at every level!